Many of Ian MacKaye’s early bands (including Minor Threat and Embrace) were extremely short-lived, so his goal was to form a band that would not only exist for a long time, but will be influential and won’t sound like his previous efforts. He recruited former Dag Nasty drummer Colin Sears and guitarist Joe Lally and as a trio they started practicing in 1986. Sears eventually returned to Dag Nasty and was replaced by Brendan Canty (Rites Of Spring). They booked their first show in early 1987 and all that they lacked was a name. 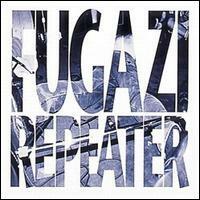 MacKaye chose Fugazi, an acronym for “Fucked Up, Got Ambushed, Zipped In”, a term that was used in Mark Baker’s Nam, a compilation of stories from Vietnam. They also started inviting Guy Picciotto for practices – initially he wanted to join the band, but saw no place for himself. After his band Happy Go Licky broke up, he became more involved with Fugazi and eventually accepted a request from MacKaye to be a full-time band member. They went on first tour in 1988 and recorded a self-titled EP with producer Ted Nicely. After the tour ended, the band planned to record a full-length, which, due to a lack of funds, turned into an EP called “Margin Walker” and came out in 1990. Their next one was “Steady Diet Of Nothing”, which band members produced themselves, after Ted Nicely turned down the job. 1993 “In On The Kill Taker” was recorded with Steve Albini, but the band was unsatisfied with results and album was re-recorded with Nicely acting as a producer. It became their first album to enter Billboard charts. Starting from 1995 “Red Medicine” the band was forced to slow down with touring/recording, due to various commitments. 2001 album “The Argument”, became their last album before the band went on indefinite hiatus. Much of band’s legacy is not just their music, but also their lifestyle – equally despised and loved by many of people who followed the band’s career. 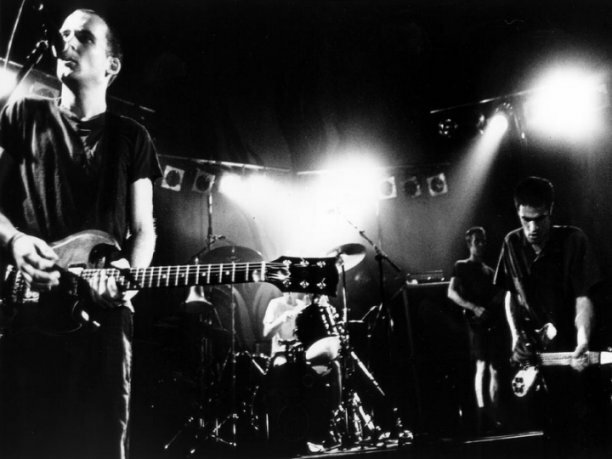 Members of Fugazi were strict vegetarians and refused to deal with magazines that carried alcohol and tobacco advertisements. Their music, too, in a way a reflection of dsgust with corporate culture and (a)pathetic traditional lifestyle. Members of Fugazi are still involved in a number of music-related activities – MacKaye still runs now-legendary Dischord Records (whose roster includes the likes of Lungfish, Bluetip, Make-Up and many others), while Joe Lally was playing with Black Sea, along with members of Frodus and he also released a solo album “From There To Here” in 2006. Lally was also a part of an extremely short-lived Ataxia, along with John Frusciante (Red Hot Chili Peppers) and Josh Klinghoffer.